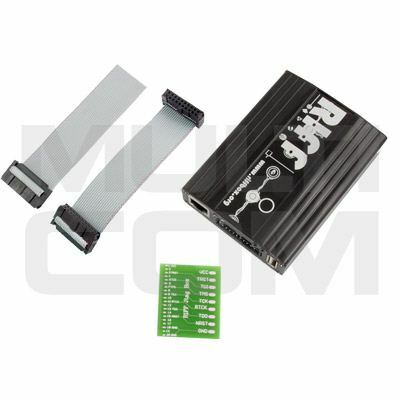 RIFF Box JTAG/EMMC ORIGINAL it's new device from Rocker Team is finally released on market - now also support EMMC/Direct. There is no other device with so many complex functions supported. As always, Rocker team are presenting something unique and wonderful. It will suit most of regular user needs, although is aimed at advanced developers who need to debug their own embedded code. Unique scripting support, GDB Server for IDA real time debugging, Trace32 scripts compatibility and high quality hardware will be on Your service. Our R&D Team is ready to serve our valued customers as well as our tech support staff. DUE ON MARKET THERE ARE MANY COMPANIES WHO SELL CLONE OF RIFF BOX WE STRONGLY ADVICE TO BUY PRODUCTS ONLY FROM AUTHORIZED RESSSELER. ONLY THEN YOU WILL GET SUPPORT AND PRODUCER WARRANTY. 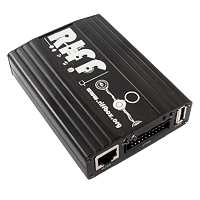 OUR COMPANY ARE AUTHORIED DISTRUBUTOR OF RIFF BOX IN POLAND AND EUROPE - YOU CAN CHECK THIS ON PRODUCER PAGE AT HTTP://JTAGBOX.COM. In short, if you have a device in hands which has supported chipset inside and if this chipset’s core belongs to the supported ARM cores list, then you can connect and read/write memory of your device over JTAG link.